Protect yourself from wet weather. 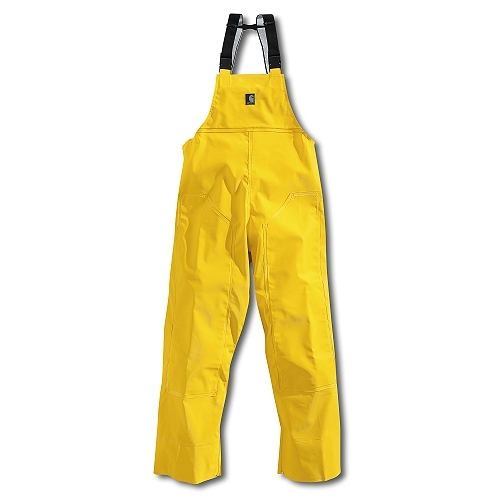 Our rain bib overall is constructed of .50mm polyester-backed PVC. It features electronically welded seams, permanently attached adjustable suspenders, a reinforced seat, and chap-style double-fronted legs. The bib pocket and knee pad pockets are all on the inside to protect from the rain. Both the waist and the leg openings are adjustable with snaps.